I am a person-centred counsellor, providing a confidential service where you can talk about your problems in a safe and accepting environment. I believe that you ultimately know what is best for you, but at the moment it is difficult or even impossible for you to find the way forward. I won’t judge you or give advice. What I provide is the time and space to work with you on your difficulties and worries, to enable you to better understand why you feel the way you do, and to use that knowledge to make positive changes. Life presents challenges that we often need help with, and I draw on my professional training and my own experiences of work and family life to help with a range of issues including anxiety, depression, family relationships, caring responsibilities, work-related stress and loss and bereavement. I provide a calm, supportive place where we can work together on the things that are causing you distress, at your own pace. I am a professionally qualified counsellor and Registered Member of the BACP. 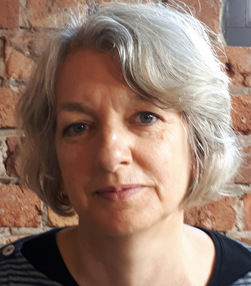 I have my own practice, working from a light, airy room, based in the Ullet Road Eco Offices, Liverpool 17 and also work in a Liverpool based bereavement service and have experience of working as a school-based counsellor at both primary and secondary level. I am fully insured and access supervision on a regular basis to ensure that I practice safely and ethically. I am also covered by an enhanced DBS.